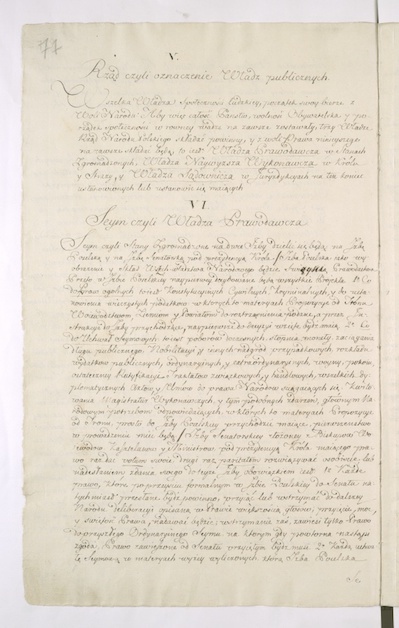 The act passed on 3rd May 1791 by the Four-Year Sejm regulated the legislative system of the Polish-Lithuanian Commonwealth. 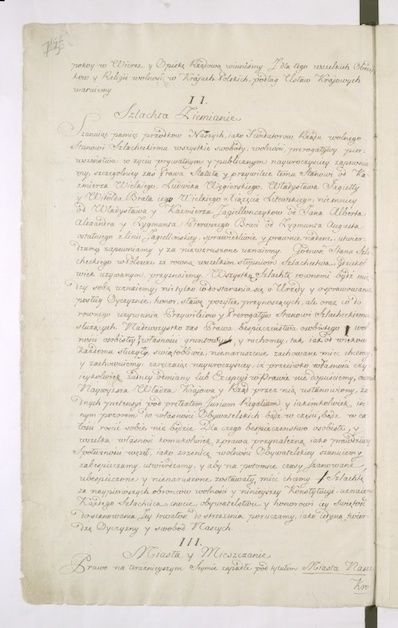 It was Europe’s first modern constitution and the world’s second. 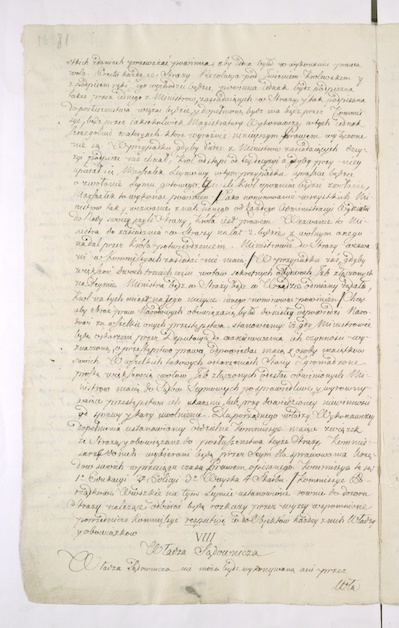 It introduced a system of constitutional monarchy and, while it preserved the structures of social class, it opened up prospects for the further transformation of the state system. 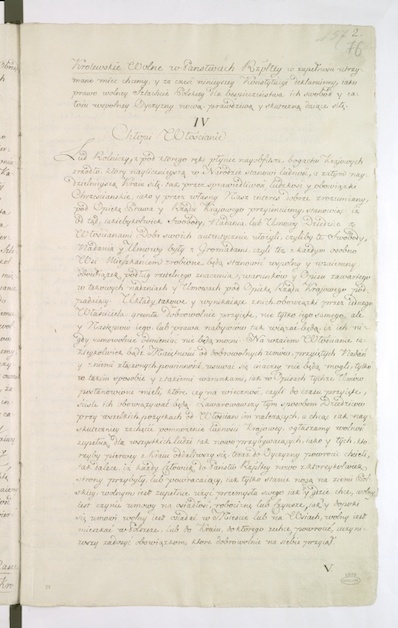 On the strength of the act, Montesquieu’s division of power into the legislative, the executive and the judicial were adopted and various aspects of the former system, including liberum veto, confederations and free elections, were abolished. 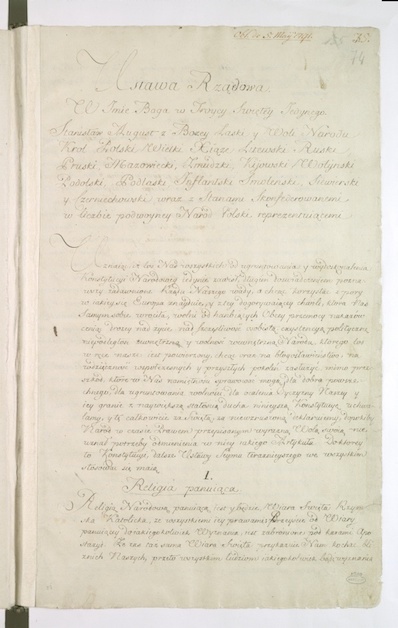 Although the Constitution of 3rd May 1791 would remain in force for a mere fourteen months, it was a tremendous achievement for the Polish nation, which sought to preserve the independence of the state and ensure the potential for the country’s economic and political development. 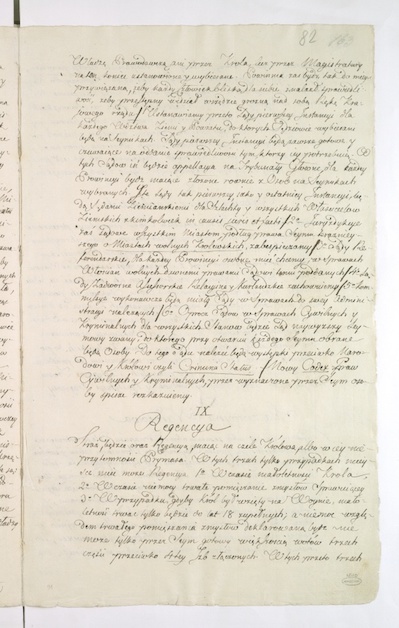 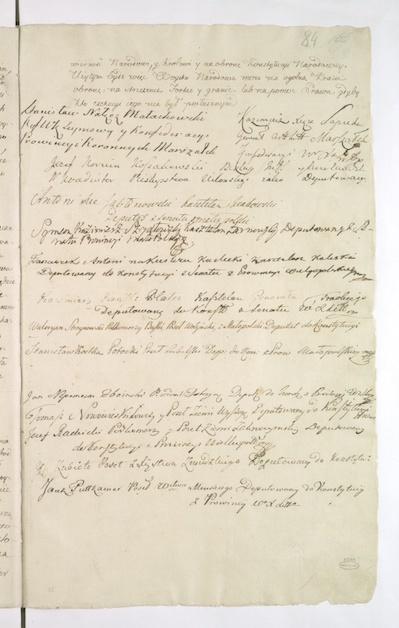 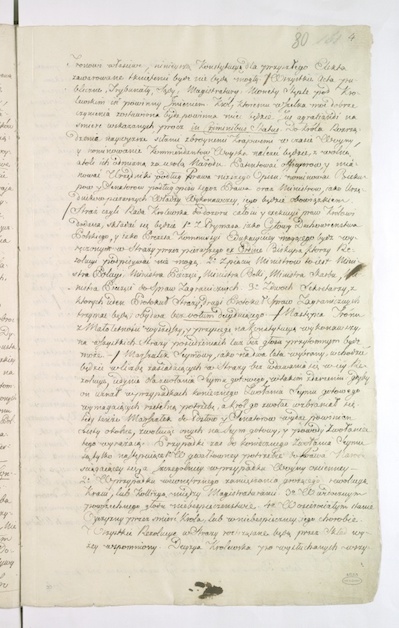 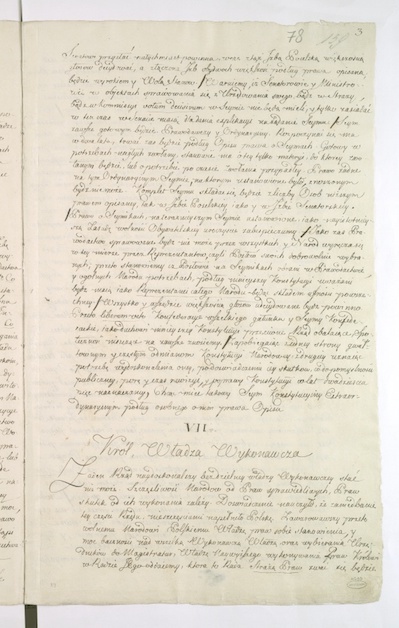 The original manuscript of the Constitution of 3rd May 1791 was initially held in Wilanów Palace in Warsaw, in the collections of the Potocki Public Archives, which were amassed by Stanisław Kostka Potocki, who had participated in the sittings of the Four-Year Sejm. 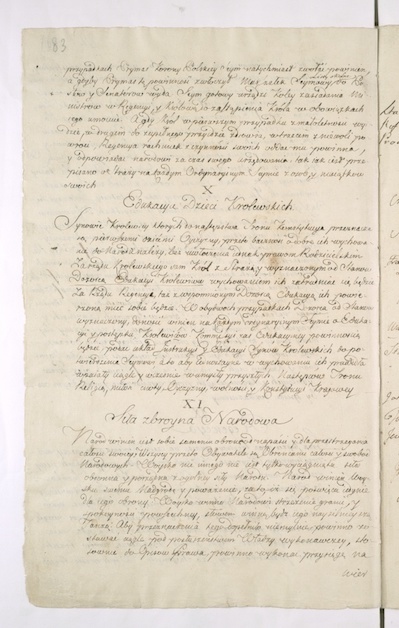 On the basis of family contracts, the archives were transferred to the town of Krzeszowice, near Krakow, in the eighteen seventies. 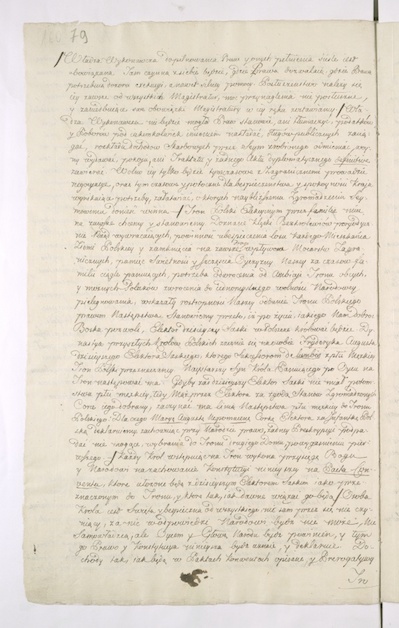 Post-1945, they returned to Warsaw, where they were consigned to the Central Archives of Historical Records.